Using simple but stunning design elements, Color Me is a canvas to showcase your favorite gradient or multicolored yarns. 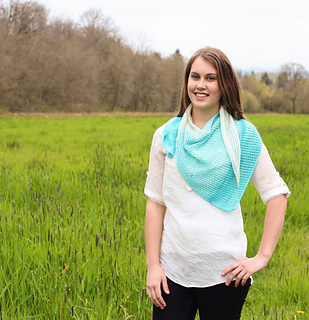 Worked with unique asymmetrical shaping, simple stockinette, and open lacework that all maximize yardage, this shawl is designed to work with a single (450 yard) skein. 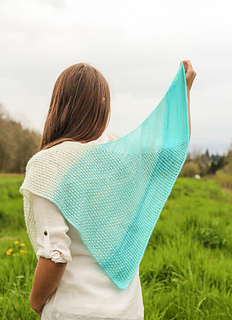 Lightweight and airy, Color Me knits up fast and is the perfect 3-seasons shawl. 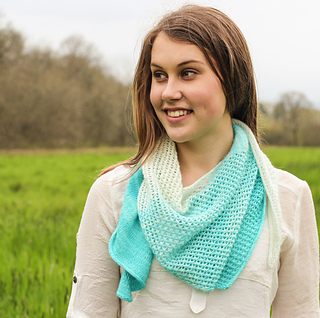 Worked lengthwise, it also shows off gradient or striped yarns beautifully. 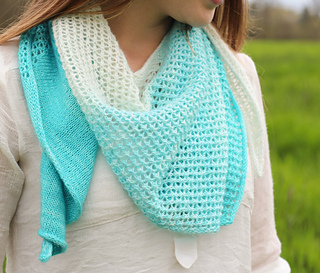 So, grab your favorite hand-dyed yarn and splash some color onto the lovely Color Me canvas! Techniques: Simple Lace, Increases, Decreases, Integrated I-cord Edging, I-Cord BO.